Veterinary Eye Specialists of Nebraska are the only Board Certified animal eye specialists in Nebraska. We are committed to providing the highest quality of services in ophthalmic care for your pets. Our facility uses state of the art procedures, techniques and equipment, so your pet receives superior treatment and premium comfort during their visit. Veterinary Eye Specialists of Nebraska offer both surgical and medical (non-surgical) options to treat eye diseases. With expert training in animal ophthalmic specialties, we strive to help restore or improve your pet’s vision while maintaining your pet’s sense of comfort. Many ophthalmic conditions are complicated. Our specialists use proven and innovative medicine, high-tech equipment, and state-of-the-art procedures to diagnose and treat your pet’s specific condition. Distichiasis is a condition in which extra eyelashes grow on the eyelid line in areas where they should not grow. It is genetically inherited and is common in several breeds. This condition can cause discomfort, however several pets do not show clinical signs and some require no treatment. Trichiasis occurs when hairs grow inward toward the eye. This condition occurs in breeds with long facial hair. Common conditions of trichiasis are watery eyes and excess tear staining down the face. Ectopic cilia occurs when an eyelash grows from the underside of the eyelid. A short, scratchy eyelash rubs against the eye, causing discomfort and possible ulcerations to the eye. Blastomycosis is a fungal infection caused by Blastomyces dermatitidis. This fungus is most commonly found in sandy, acidic soil near bodies of fresh water. Exposure usually occurs within areas close to inland waterways, as well as recently disturbed soil. When the soil has been disturbed, the fungus can become airborne, resulting in inhalation. Inhalation is the primary route of infection. Once the fungus in inhaled, the spores of the fungus can spread to other parts of the body, including the eyes. A cataract is an abnormality of the eye lens, which causes blurry vision in your pet. A cloudy haze over the lens prevents light from reaching the retina, which can cause blindness. Cataracts can be hereditary, or can result from injury, inflammation or internal disease within the eye. There is no known medical treatment for cataracts, and surgical removal of the cataract is the only available and effective treatment for this condition. Glaucoma is a neurodegenerative condition of the optic nerve, which leads to blindness. In animals, glaucoma is always associated with elevated intraocular pressure. Primary glaucoma is usually caused by an inherited abnormality of the drainage angle, and is breed-related. Secondary glaucoma may occur secondary to inherited lens luxation (dislocation), inflammation, trauma, and intraocular tumors. All of these factors can obstruct the drainage of fluid from the eye. Acute glaucoma is an ophthalmic emergency and must be treated immediately. If the pressure remains elevated for even a few hours, permanent vision loss occurs. An accurate diagnosis of glaucoma is based on a thorough ocular examination and measurement of the intraocular pressure with a tonometer. Keratoconjunctivitis sicca (KCS) is a condition where the eye does not produce enough tears. The tear film is critical to preservation of a normal eye and vision. Tears transport nutrients to the cornea and protect the eye from infection. In the absence of tears the eye will appear red, irritated and will have a white or greenish discharge. In early cases of KCS, the eye may be painful and may develop a corneal ulcer. The absence of tears, blood vessels in the eye and pigment (melanin) will begin to invade the cornea as a protective response, and to provide nutrients. This leads to scarring in the cornea, causing vision loss. Hyphema is a collection of blood in the front chamber of the eye. This can be a sign of serious complications. The exact reason for hyphema can be difficult to diagnose, since the blood can cover up the exact location of the injury or disease. When diagnosing the cause of bleeding, it is important, to determine whether the bleeding is in the affected eye only, or if an additional problem is affecting the body, such as a blood clotting abnormality. Ocular foreign body injuries can occur when there is accidental contact with a foreign body puncturing the eye. Foreign bodies include, but are not limited to: cactus spines, bristles, thorns, small stones, popcorn kernels, and splintered wood. Foreign bodies can become embedded in the cornea and could extend into the deeper tissue of the eye, including the iris and lens. Blepharitis refers to inflammation of the eyelids or the glands of the eyelid (meibomian glands.) The most common cause of Blepharitis is due to allergies. Other causes may be congenital abnormalities, infection, tumors, or other inflammatory disorders. This condition can occur when the oil glands near the eyelash base become inflamed and irritated. Blepharitis can be caused by several factors, therefore the treatment and prognosis can vary depending upon the underlying cause of the condition. Conjunctivitis is a condition in which the conjunctiva (pink tissue that lines the inner surface of the eyelids) becomes reddened, swollen and painful. It is generally caused by foreign matter, bacteria, chemicals or environmental irritants (such as smoke.) Conjunctivitis may be a symptom of an eye infection, blockage or dry eye. Furthermore, it may lead to problems with the cornea, such as ulcers, scarring, vascularization, mineralization, sequestrum or adhesions. Corneal Ulcers can occur when the outer epithelial layer of the cornea becomes damaged. The cornea is comprised of several layers of collagen, fibers and nerve fibers, which protect the cornea. When those layers become damaged, complications can occur which may be treated with corneal debridement or keratotomy surgery. Episcleritis is an inflammation of the episclera, which is the thin outer layer of tissue that covers the sclera (fibrous covering of the eyeball.) This condition usually looks like a pink lump or nodule on the white part of the eye. Episcleritis is believed to be an auto-immune type reaction. Eyelid masses are growths that appear on the eyelid and can be benign or malignant. Depending on the size, location and appearance, a biopsy may be necessary to determine the type of mass involved. All masses, even benign ones, can cause irritation to the cornea. Sudden Acquired Retinal Degeneration Syndrome (SARDS) is a frustrating disease for both owners and ophthalmologists. As the name implies, vision loss occurs rapidly. Beyond this clinical sign, veterinary ophthalmologists know little about this disease or its causes. Even though there is no cure for SARDS, a full evaluation is important, because there are treatable causes of vision loss than should be differentiated from non-treatable causes. Progressive Retinal Atrophy (PRA) is a degenerative disease of the retina. Comparing the eye to a camera and the retina as the equivalent of the camera’s film, PRA occurs when the “film” or retina is no longer functioning properly. Similar to a camera with damaged film, an eye with PRA cannot produce a useable image. PRA is an inherited disease and is most commonly seen in purebred dogs. Animals with PRA should not be bred, as the condition may be passed to offspring. In the case that your pet requires surgery, we have created a guideline to follow to ensure your pet’s optimal care and comfort. It is imperative that you continue giving your pet all prescribed medications according to their instructions. Many medications are used to keep your pet comfortable in the time leading up to the procedure. Do not stop any medications unless instructed to do so by a veterinarian. Your pet will need to be fasted prior to surgery. Please no food after 10pm the night before the procedure. Your pet may have access to water. Please bring your pet to our clinic no later than 8:30am the day of the procedure. We will administer medications for pain control and sedation before surgery to keep your pet calm and comfortable. An IV (intravenous) catheter will be placed to allow us to administer antibiotics, anti-inflammatories, fluids and other necessary medications during the procedure. We will place a breathing tube in your pet’s trachea (windpipe) for administering anesthesia and oxygen. Your pet’s vital signs and anesthetic level will be monitored. If your pet is diabetic, we will monitor your pet’s glucose level. Once your pet is resting comfortably, a staff member will update you on your pet. Your pet will be able to go home the same day of surgery, no later than 4:30pm. Any post-surgery rechecks will need to be scheduled, based on the time frame your veterinarian gives you. Your pet will also go home with an Elizabethan collar (e-collar.) It is important that you do not remove the e-collar unless specifically instructed by your veterinarian. Prematurely removing the e-collar may allow your pet to itch or rub at the surgery site, which may lead to complications. Medications are a vital part of surgical aftercare. It is important you follow all prescription instructions carefully. Continue all medications as instructed by your veterinarian. Please contact our office if you have any questions or require medication refills. Should your pet show any of the following signs post-surgery, contact our office immediately. Call our office at (402) 682-8776. Call: (402) 682-8776. Leave a message with your name, number, pet’s name, and the nature of the emergency. Pager: (402) 633-8139 followed by the numeric phone number you can be reached at, ending in the pound sign. Ophthalmology is a specialty category of medicine dealing with the eye and its anatomy, physiology and pathology. Veterinary ophthalmologists specialize in the medical and surgical treatment of eye disorders, eye diseases, vision, prevention of blindness, restoration of vision and care of blind animals. Animals experience several of the same problems, diseases and traumas to the eyes as humans do and require specialty ocular care in order to treat them. What types of conditions do Veterinary Ophthalmologists treat? (KCS), Progressive Retinal Atrophy (PRA), and Sudden Acquired Retinal Degeneration Syndrome (SARDS). Veterinary Ophthalmologists also treat eye trauma, swollen eye conditions and other general eye irritations caused by specialty conditions. Do I need a referral from my veterinarian before I can make an appointment? Referral by your veterinarian is not mandatory. However, we do request their contact information, so that we may keep your veterinarian informed and up-to-date on the progress of your pet’s eye condition. Tonya enjoyed her ophthalmology rotation as a senior vet student at Kansas State University (KSU), but the career path she was aiming for was more mixed animal. She was offered an internship in Equine Surgery and Medicine at Littleton Large Animal Clinic (LLAC) in Colorado, located on the old Santa Fe Trail. Working closely with ophthalmologists and mentors, Tonya worked on equine cases and developed a rapport with her colleagues. After graduation, Tonya and her husband Shawn packed up their few belongings and moved into an apartment at the equine clinic. While working as an intern, Dr. Tonya quickly became the go-to eye doctor at LLAC. An ophthalmologist from Denver that consulted on the Littleton equine cases offered her an additional year long internship. After 4 years of undergraduate work at UNL, 4 years at KSU’s veterinary school, and 2 additional years of internships, Tonya was about to embark on a rigorous 3-year commitment to become a board-certified veterinary ophthalmologist at Colorado State University. After completing her residency, Tonya returned to Denver to work at Animal Eye Specialists with Dr. Dugan. A desire to be closer to her family in Nebraska spurred Tonya to leave Colorado and open her own practice in Omaha. Tonya and her husband love Omaha and are constantly amazed and surprised by the relationships that God is putting in their lives. Julie has been working in specialty veterinary medicine since graduating from Iowa State University with a degree in biology. She started with VESN in September of 2012 as our client care specialist. 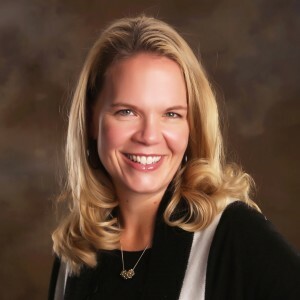 In her free time, Julie enjoys volunteer scuba diving in the Henry Doorly Zoo’s aquarium as well as camping and hiking with her husband, Jason and her dog, Coco Chanel. She also makes time to snuggle with her cat, Adonis, while reading any book she can get her hands on. 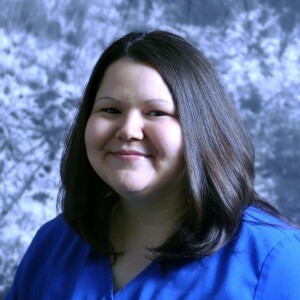 Mimi is an Omaha native and has been a licensed vet tech since 2008 and a longtime employee at VESN. She and her husband Kevin stay busy with family and friends and are the proud parents of their son, Zander.